Fairfax, Va. — Dewberry announced that the Cozy Lake Road bridge replacement project in Morris County, N.J., was awarded a New Jersey Concrete Award by the New Jersey Concrete and Aggregate Association and the New Jersey Chapter of the American Concrete Institute. 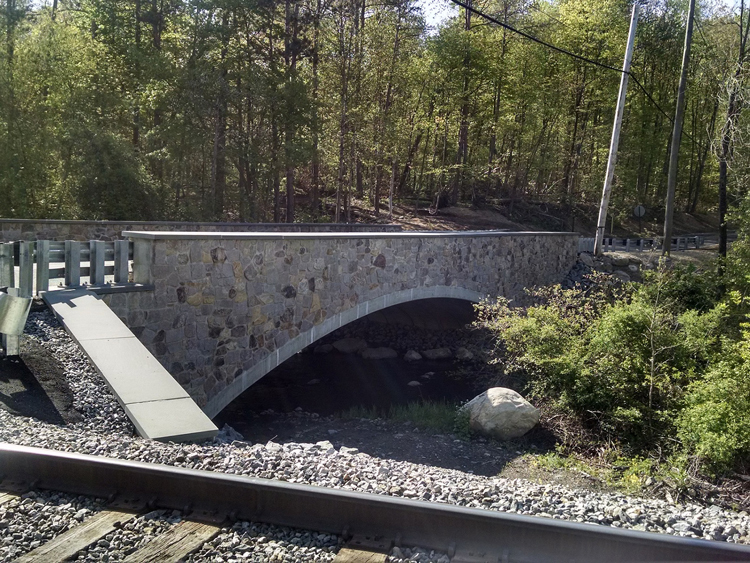 The project, designed by Cherry, Weber & Associates, PC and constructed by Ron-Jon Construction Corp., was a replacement of Morris County Bridge No. 1400-323 at Cozy Lake Road over the Pequannock River at a cost of $1.4 million. Dewberry provided resident engineering and inspection services throughout construction. The completed structure comprises a 60-foot clear span, 26-foot curb-to-curb road width, and an out-to-out width of 30 feet. Concrete was used for the cast-in-place footings and for precast structural elements, including a precast arch, spandrel/parapet walls and wing walls. A total of 500 cubic yards of concrete was used on the project. Dewberry’s resident engineer oversaw unique construction challenges. While the road was closed to traffic with a detour in place, an existing railroad line remained in service during construction, requiring the use of steel sheet piling for the foundation to reduce the bridge footprint and retain the railroad bed. The Dewberry team also coordinated extensively with overhead utilities during the precast setting period. The rural, wooded location of the project required stone facing of exposed concrete surfaces. Precast elements included dovetail slots so stainless steel ties could be incorporated to hold the stone masonry. A New Jersey Department of Environmental Protection Green Acres tree planting program was implemented to mitigate adjacent property impacts.